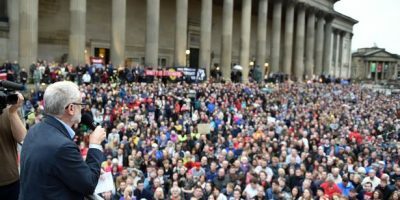 An important labour movement campaign is being launched, the Alliance for Free Movement. This will be a campaign to highlight the benefits that migrants bring to our society and to try and combat the misinformation about migration that is polluting our public debate on this question. The most reactionary feature of the EU referendum campaign – and the most effective notwithstanding its dishonesty – was the way that all the ills of British society were laid at the door of immigration. Endless newspaper front pages told us how damaging and harmful immigrants and refugees were to the British way of life.. 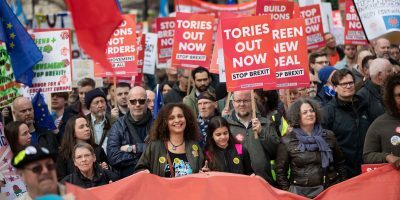 The fact that government policies are to blame for the shortages and cuts ascribed to migrants was disregarded, and the real economic benefits brought to our society and economy as a result of migration were airbrushed out of the referendum debate. So it is that the belief that curbing immigration will have a beneficial effect on British society has gained widespread currency. And this belief has led some in the labour movement to demand that the Labour Party ends its support for free movement. It is vitally important that the erroneous beliefs underpinning this turn on free movement are challenged vigorously. 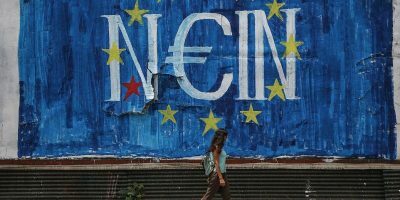 There is no evidence that immigration and particularly free movement within the European Union has been responsible for lowering wages, diminishing social services or creating unemployment – in fact the opposite is the case. Migrants bring enormous benefits to our society and ending free movement will make us all poorer. 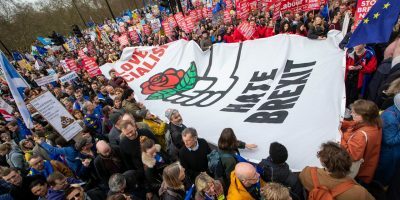 Free movement in its present form represents an important gain for the European working class and its ending would be a reactionary step bringing no economic benefit to the so-called native working classes of each country but would politically weaken all working class forces across Europe. We need to extend free movement not end it. Sign up the Alliance for Free Movement here. Awave of hatred is sweeping Britain, with migrants blamed for a range of social ills. But migrants have not run down our public services, it’s not them that failed to build the houses our economy needs and they don’t cause a race to the bottom on wages or conditions. These are the results of political choices made by governments and corporations. In fact, the free movement of people can build our collective power and creativity in the face of attempts by the super-rich to turn the world into a gigantic marketplace in which we are all isolated individuals competing against one another. Fear and hate further drives this isolation and undermines our ability to cooperate. It allows the already rich and powerful who have done so much damage to our country to win. We are therefore alarmed by the way more MPs are now also turning their firepower on immigration. While we cannot ignore the concerns of anyone struggling and feeling insecure in a country that still has huge but concentrated wealth, we cannot pander to anti-immigrant sentiment in a race we cannot win and should never want to. 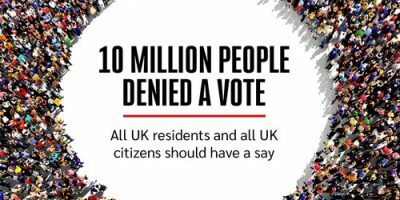 A democracy must defend the most vulnerable in society – all of them. And we must provide the services and homes for people who come to this country who add to its economy and its culture. Positive movements for change have always looked outwards, with humanity.